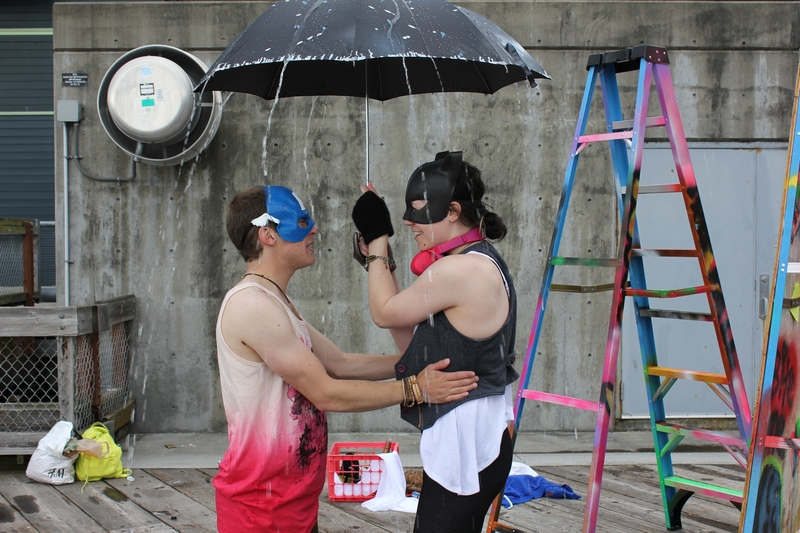 ROMEO AND JULIET Stripped-down, ridiculous, and wickedly entertaining. Roberts’s Mercutio is guffawing and blustery and very funny, all limbs and leans and sneers. Rowe’s dorkily twitterpated Romeo makes just enough fun of the character’s schoolboy crush to turn down the play’s maudlin factor, which has overwhelmed other productions. It’s not perfect (the acoustics are poor, and the actors have to shout nearly every line), but it’s remarkably better than what you might expect when you approach the few rows of chairs lined up in Waterfront Park. The audience seems to be a combination of people there deliberately and people who stumbled over it. There’s an art show beforehand, live cello accompaniment by Brandon Smith, and more live music after every show. And Ivar’s down the street has a rewarding happy hour every day of the week that runs until closing time.